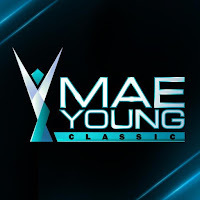 Meiko Satomura confirmed her participation in the 2018 Mae Young Classic and will join thirty-one other competitors at Full Sail University on August 8th and August 9th for the tournament's filming. Satomura, through an interview with Tokyo Sports, revealed she will be participating in the upcoming tournament. WWE tried to contact Satomura in 2011, but the Tohoku earthquake caused talks to cease. "Actually, in 2011 when the East Japan great earthquake hit the Tohoku district, I experienced e-mailing the audition examination to WWE," Satomura revealed. The 38-year-old veteran started the pro wrestling promotion Sendai Girls with Jinsei Shinzaki in 2006. She has also appeared for Chikara since 2016. She started her pro wrestling career in 1994 at 14-years-old and is known for her Joshi Strong Style. WWE has confirmed Satomura's participation. Satomura is the twentieth name announced for the 2018 Mae Young Classic. Other announced competitors include: Toni Storm, Isla Dawn, Zeuxis, Lacey Lane, Karen Q, Mia Yim, Killer Kelly, Mercedes Martinez, Kavita Devi, Kaitlyn, Io Shirai, Rhea Ripley, Kacy Catanzaro, Nicole Matthews, Jinny, Tegan Nox, Deonna Purrazzo, Jessie Elaban and Reina Gonzalez.